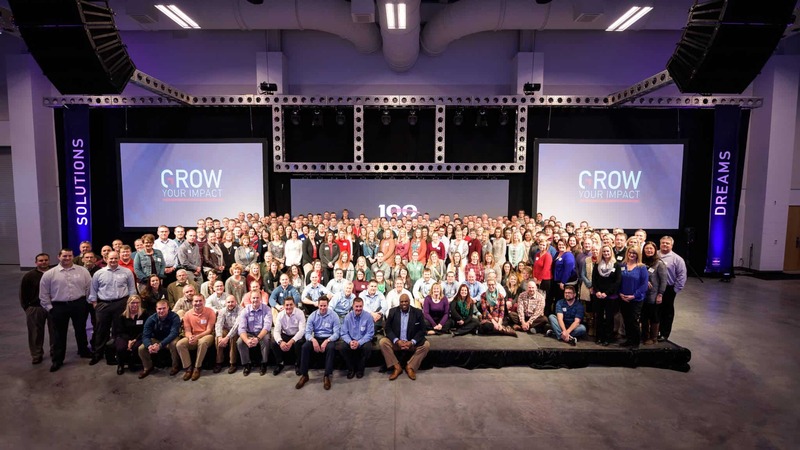 Miron Construction Co., Inc., a premier construction company headquartered in Neenah, Wisconsin, is celebrating its 100-year anniversary in 2018. The company, also achieved more than $1 billion in annual revenue (in 2017) for the first time in its long-standing history. Miron was founded by Patrick G. Miron, a Canadian immigrant. In its early days, the company’s work was largely concentrated in the Fox River Valley. Today, Miron has six offices throughout the Midwest and provides innovative pre-construction, construction management, design-build, general construction and industrial services to a variety of markets (including education, healthcare, industrial, and commercial) throughout the country. “The partnerships we’ve created with our clients go above and beyond providing them with facilities that will take their businesses and organizations to new heights. We take great pride in helping to bring their dreams to life and will continue to expand our commitment and our presence throughout the Midwest and the nation,” Tim Kippenhan, vice president and COO of Miron Construction, said. Miron has worked on countless prestigious projects, including the Fox Cities Exhibition Center in Appleton, Wisconsin; the LEED Platinum Lake Mills Elementary School, in Lake Mills, Wisconsin; Bel Brands USA Manufacturing Plant in Brookings, South Dakota; Memorial Union Terrace near the University of Wisconsin-Madison; the Johnsonville Sausage Meadowside Plant Addition and Johnsonville’s new Global Headquarters, in Sheboygan Falls, Wisconsin; as well as work for a multitude of other high-profile industrial and manufacturing clients throughout the nation. Miron is also the Official Provider of Construction Services for the Green Bay Packers and Lambeau Field and is currently working on construction in the new Titletown District in Green Bay, Wisconsin. Miron is dedicated to the communities it serves, as well as the advancement of the construction industry. The company supports a variety of community organizations and activities, including Build Like a Girl, a free, annual event for female students in grades seven through 10 that provides an in-depth look at the construction industry. Miron also donates time, talent, treasure and resources to the Community First Fox Cities Marathon, presented by Miron Construction weekend of events.